Posted by Dave Emory ⋅ January 25, 2018Post a comment Email This Post Print This Post Tweet This! COMMENT: In AFA #39, we returned to the issue of AIDS as a genetically-engineered, binary biological weapon. In that context, we highlighted Bayer’s purchase of Monsanto. Ken Alibek, formerly a key researcher in the Soviet Union’s biological weapons program, has noted a stunning phenomenon–the unwillingness/inability of U.S. “experts” to acknowledge that genetically modifying a microorganism carries risk. Furthermore, genetically modifying a pathogenic (disease-causing) organism can create a much more dangerous entity. Alibek’s experience has been that U.S. “experts” are in a state of profound denial about the dangers of rDNA (recombinant DNA). 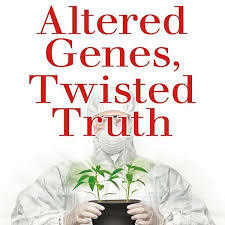 Altered Genes, Twisted Truth by Steven M. Druker; Clear River Press [SC]; Copright 2015 by Steven M. Druker; ISBN 978-0-9856190-0-8; pp. 19-20. Regal confirms Alibek’s observation. “I had long heard the same naïve opinions from leading American biotech advocates. . . . My sense is that many of them had talked themselves into sincerely believing that rDNA had no weapons potential because they felt constantly on the defense [sic] and experienced a need to protect the image of biotechnology—and to sustain their own faith in the fully benign nature of their manipulations. These arguments spread and took hold as ‘common wisdom’ among American biotechnolgists, despite their dissonance with reality.” . . . . .
level of intensity that makes one wonder. I haven’t read the book yet but Druker is an excellent speaker and has some great insights in his spoken material, and has been at this for a while. These biotech/bininformatic ‘experts’ better take a long hard look at this one.